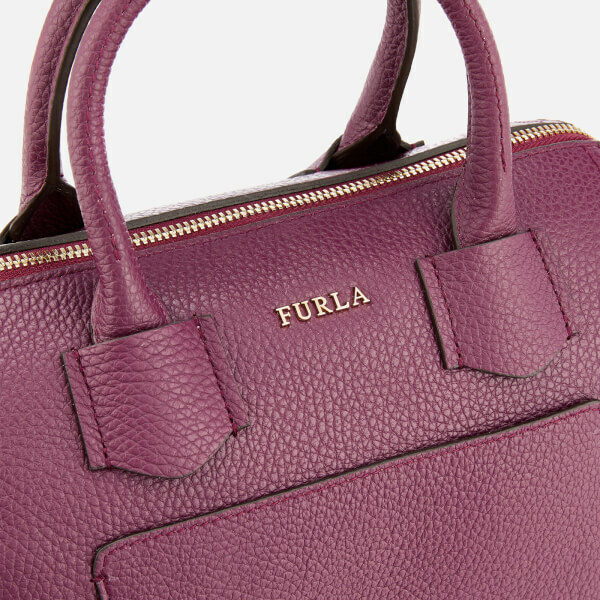 The purple ‘Furla Alba’ handbag arrives crafted with textured leather in a small satchel style. The top zip fastening opens to reveal a roomy, fully lined interior with slip and zip pockets for storing small valuables. 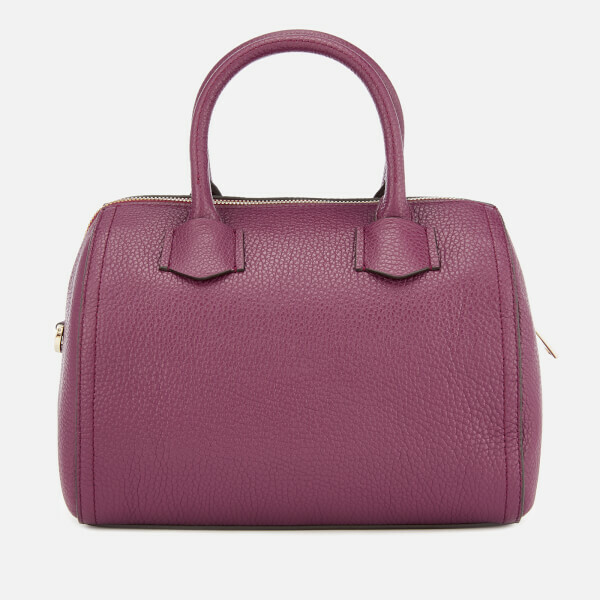 Twin reinforced carry handles and a detachable, adjustable shoulder strap offer versatile styling. A front slip pocket and gold-tone metal logo detail add the finishing touch. Dimensions: H: 17cm x W: 24cm x D: 16cm. Handle Drop: 9cm. Strap Drop: 54cm.